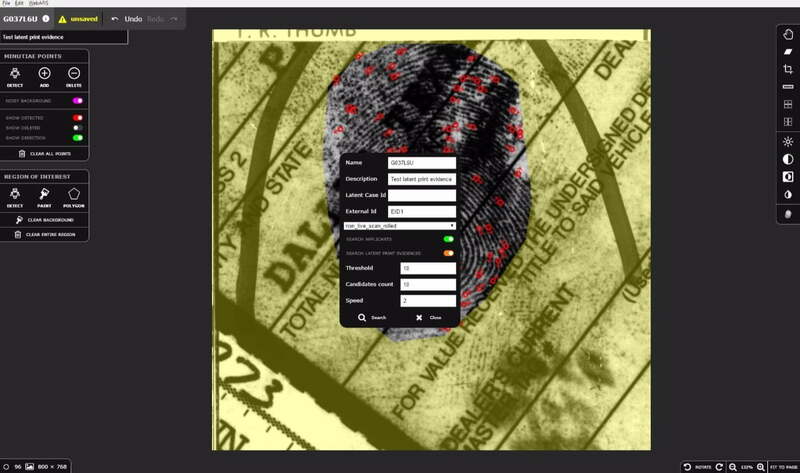 Latent Editor makes it easy to edit and optimize latent fingerprint images, so as to improve the probability of finding a match in an AFIS database. Independent and interoperable, Latent Editor allows users to flip, crop & resize images, enhance colour, contrast & saturation and separate overlapping prints. These actions can be carried out at the click of a button through our modern, user-friendly interface. Additionally, the tool features automatic minutiae and region of interest detection, saving users considerable time and effort in manually detecting these aspects. 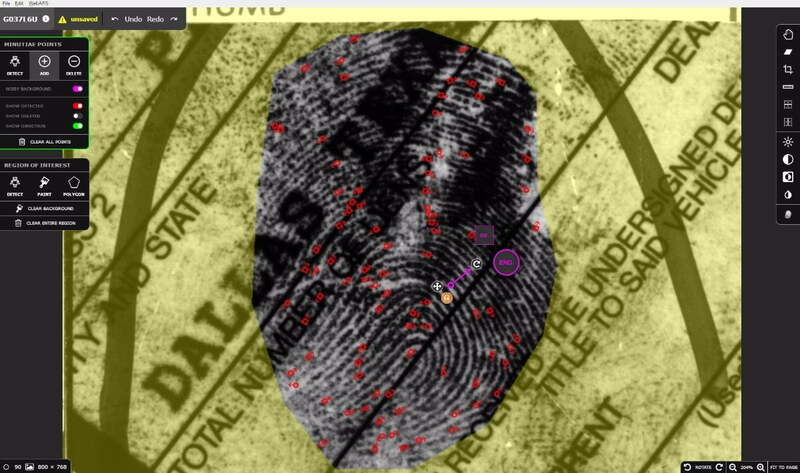 With the separation tool, users can easily separate overlapping fingerprints. Simply tag the relevant ridges and Latent Editor will remove the overlapping print. Once the image has been optimized, it can be sent directly to the AFIS to be searched against a database. A “latent print” is any impression left by friction ridge skin (the skin of the palms of the hands and fingers) on a surface. These impressions usually occur by chance and may be visible or invisible at the time of deposition. Latent print examination can be complex because latents are often small, unclear, distorted, smudged, or contain few features; can overlap with other prints or appear on complex backgrounds.